How to order direct from Cejay Engineering, LLC using our Online Store or Dealer Network. Check to see if your product is available for purchase at our Online Store. Items marked “email for quote” are restricted to Military or Law Enforcement Use Only by Cejay Engineering, LLC and are not available for purchase from our online store. Military or Law Enforcement should contact Cejay Engineering, LLC, or our authorized dealer network for quote. Please contact us if you have any questions. Items available for purchase at our Online Store can be added to our shopping cart for purchase. 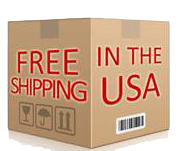 Orders over $200 may qualify for free shipping. The checkout process will calculate shipping from our location to yours based on the address you provide at checkout. All orders are shipped via United Parcel Service except APO/FPO which are shipped United States Postal Service. Please see our shipping policy for more on shipping. The TLS program was created to infuse supply chain management best practices into the procurement process of commercial goods and services to the U.S. Government. These best practices incorporate the latest innovations in information technology, supply chain management theory and real world experience to provide improved customer support. The companies chosen as TLS vendors are audited on a regular basis by DLA Troop Support for competitive pricing, overall customer satisfaction and promptness of delivery. The TLS contract allows customers to order specific USA made tactical gear and brand name products to meet their mission requirements and to add new products to fit the scope of the TLS contract. TLS, as a component of DLA, also allows customers to use Military Standard Requisitioning & Issue Procedures (MILSTRIP) requisitions, government credit cards and Military Interdepartmental Purchase Requests (MIPR). Step 1: Before ordering, you must be registered. Click here to view the Customer Guidelines Document which explains the TLS program. Step 3: Your information will be loaded and you will be contacted by DLA Troop Support to finalize your registration. They will provide you with an order request form. You can also order through any of our distributors on their GSA contracts. Our distributors offer many of our products at competitive prices to our federal, military and authorized state and local government entities. Direct GSA orders can be placed online at www.gsaadvantage.gov. Step 1: Go to www.gsaadvantage.gov. Login with your Federal, military , or state and local government account, and search for “Cejay Engineering, LLC” under “Products”.